The GMAT club of 700+ scorers – what is special about their preparation for the test? Not giving preparation enough time: A lot of test takers start preparing for the GMAT with a fixed deadline. They give themselves an arbitrary length of time (like 2 months, or 5 weeks) in which to study the concepts, practice them, and take the exam. The rationale for doing so is often that the person has a limited amount of time due to further commitments after this time period, but I have also seen cases where people decided to take the exam within a month because they ‘just wanted to get it over and done with’. Viewing the exam as an anathema, and something that must be dealt with and gotten over with is certainly harmful. To be successful on the exam, you need to gauge the right amount of preparation needed to get you your best score. For some people, this time may be as short as two weeks. For others, it may be as long as four to six months. To time your GMAT preparation well, make sure that you are acquainted with what you need to study, your current ability levels in the subject matter, and the target score you are aiming for. Then make a self assessment or ask an experienced friend or coach to help you to determine the right amount of time needed to prepare. Don’t rush through the preparation – remember, your GMAT score is a critical determinant for gaining admission to your dream school(s). Not giving the exam the time that it deserves in preparation is just plain wrong. Using all the material you can lay your hands on: There is no shortage of preparatory material to study for the GMAT. The GMAC publishes the Official Guide (OG) and supplements to this book for both the Verbal and the Quantitative sections. 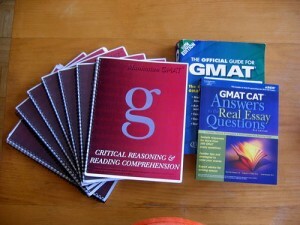 These are generally considered the basic preparatory materials for all aspiring GMAT takers. However, often enough you will find that you need to go substantially beyond these. Which material do you use? A casual search on Google will throw up the names of at least 5 well established prep companies which claim to have the best material to prepare for the exam. The right way to choose the material to prepare with is again to ask someone who has already taken the exam and done well on it. Ask the person not just which materials he/she used but also which materials were most helpful for specific portions on the exam. You will find that there is hardly any preparatory resource out there that is exhaustive and accurate – you will need to refer to different sources for different portions of the preparation. Make sure you know which material is best for what section. Neglecting ‘weak’ portions: The GMAT consists of different sections on Verbal and Quantitative ability. Most test takers are differently skilled on the different sections. Even within a section like Verbal, the ability of a test taker might vary widely between say Reading Comprehension and Sentence Correction. Some test takers assume that they can make up for their lack of ability on one section by doing better on the other section. As people from the GMAT club of high scorers will tell you, this is a critical mistake as doing poorly on one section can harm your score more than doing well on the other section can improve it. As the GMAT is a computer adaptive exam, the sequence and difficulty level of the questions you get also matters, and not just the content on which the question is based. If you get questions from your weak areas at critical positions, your score can take a beating. The best way is therefore to identify weak portions beforehand, and rework through the concepts involved along with a generous dose of practice questions. This will ensure that no section on the test is an Achilles heel for you. Cramming at the last moment: The GMAT cannot be prepared for with a short burst of dedicated cramming. The concepts tested have been built over almost the entire length of your academic life, and can be improved only gradually with dedicated practice. The exam does not test knowledge or rote ability – it tests skill. Make sure that you respect this fact and avoid leaving critical portions to be done at the last moment. Not practicing according to the test mechanics: The 700+ GMAT club is exclusive for a reason – success on the test depends not just on being able to solve questions, but in being able to solve them quickly. Before you take the test, you should be aware of the test mechanics. For example, not completing a section can harm you more than getting the last couple of questions on the section wrong. Similarly, getting the first few questions on section correct is more important than doing them quickly. You need to strike a fine balance between accuracy and time management on the exam. This will come through knowing how the test works, and practicing according to the same routine. For example, if you are not able to solve mathematics questions of the type appearing on the GMAT in an average of about 2 minutes, you will have time management problems on the Quantitative portion of the exam. Make sure you are aware of how the test consumes time, and how you map up to the standards it expects of you. Then practice accordingly. I have given the GMAT twice and got 620 and 650 respectively. Not able to move beyond the 650 – 660 line in mock tests. My weak area is RC in verbal. Can you suggest some tips to strengthen this area, as i am planning to give the exam the last time and am exhausted practicing for it. 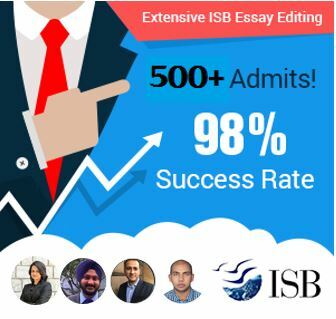 I want to apply to b-schools this year as i can no longer afford to keep appearing for the exam.